Aqua Pro Cleaning | Power Washing & Protective Sealing INC.
Jim and Bob cleaning a rooftop of on of our jobs. 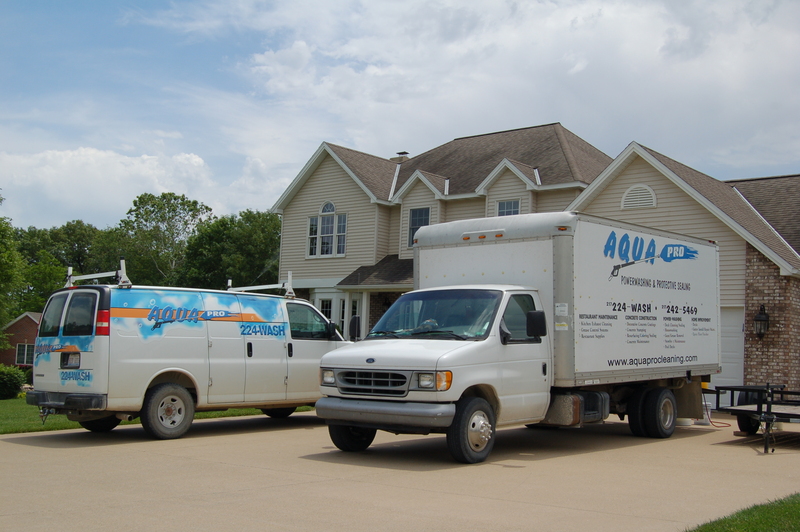 AquaPro Power Washing & Protective Sealing INC. has been professionally cleaningfor customers in the Illinois, Missouri and Iowa since 1997. With a background in residential and commercial construction techniques as well as home remodeling, we launched our company with a mission to complete projects to the best of our ability while completing tasks to completion. Our continuing education and understanding of systems from home maintenance to restaurant exhaust systems has helped develop our business and focus. Specializing in Commercial Kitchen Exhaust Cleaning, Concrete Cleaning and House Washing. We are a mobile company servicing Quincy, Illinois – Hannibal, Missouri – Keokuk, Iowa and surrounding areas. You have the option to call anyone, contacting a professional with professional employees, professional appearance, professional solutions will give you professional results which are backed by our 100% service guarentee. AquaPro Power Washing & Protective Sealing INC.